My sister sent me this video yesterday. Maybe this is a modern form of patronage. Rather than commissioning a work solely for oneself, funding is provided for a project to happen and the final results are available to all. This isn’t a new idea; think of orgainzations like Creative Time and Public Art Fund, who solicit donations and funding from a wide variety of sources, and then help fund artists projects for a wider public to experience. The only difference is that this is a single corporate sponsor. The creator of this video, Matt Harding, has made three of these videos now. The first was all by himself, just a thing for his friends and family to laugh at. But somehow, in that mystery that every ad executive craves for, the video went viral and within a month his server was crashing from all the traffic (YouTube wasn’t around yet) and millions of viewers had seen his goofy dance. Then he got a proposal from Stride. They didn’t want to be involved, all they wanted to do was sponsor Matt to do another video. So they did, two videos really. It is obvious that this is not a commercial for Stride Gum. With the sponsor recognized only after all the credits have rolled, it is pretty inconspicuous. Stride could make a commercial in the exact same way, but that might kill whatever it is that made these videos so appealing. Maybe because it would lose its sponteneity, or the viewer lose the direct connection between the creator and the product, or maybe just because ads turn people off, it’s safe to say an overt Stride Gum commercial wouldn’t get 5 million views in just a couple months. What’s so great about these videos is that, from the start, they were fueled by the desire to make something, by art. I have to say though, whatever Stride was looking for to happen, it worked on me. Though I don’t buy gum, I have a good feeling about Stride. Anyways, I thought this was a good followup to yesterday’s post, figuring out how people do what they do. 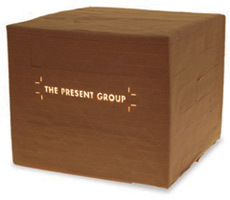 Pingback by The Present Group Journal » “Where the hell is Matt?” discussion continued. .
that was a great post! I liked the way you related it to patronage.